He died doing what he loved. Though I'm sure he would have chosen to stick around than leave this world so early. 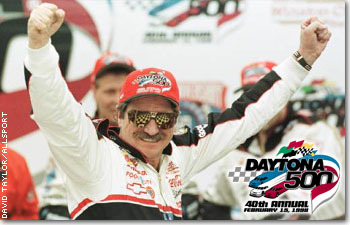 I will always be a Dale Earnhardt fan first and foremost. I've been watching him for as long as I can remember and now that he's gone, I feel like there is nothing left to watch. His impact was great and he will be missed. Time comes to say good bye to everyone. Good bye.